When is the last time you hung from monkey bars or climbed a tree? What about the last time you chased after friends at full speed or laughed till it hurt? Play is one of the first and most natural things we do and learn when we come into this world, so why is it that it is so easily forsaken? This all came about the other day when I was trying to show my son Wyatt how to do a handstand. I couldn’t do it!!! I was scared to commit to the movement and when I finally got up the guts to try I felt as stiff as an 80 year old. I am 32 years old for heaven’s sake, and I am pretty sure that my body is not supposed to feel like this yet. Sure, as adults we may consider ourselves “fit” since we lift weights or run or hike but it isn’t the same as the free moving, uninhibited motion you need to climb a jungle gym or pivot around opponents in a game of tag. These kids should be outside playing! It’s not just adults that need to play more, kids today are experiencing a serious “play deficit”. 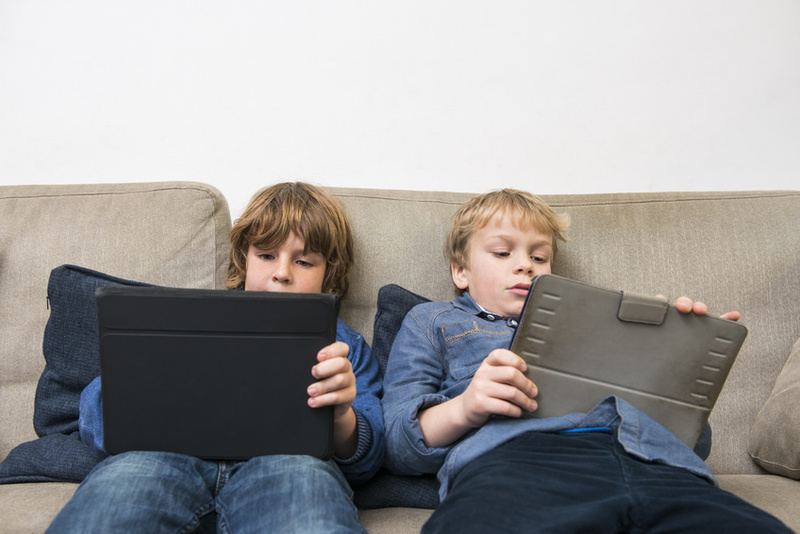 With the word “play” now synonymous to a video game or ipad app it is no wonder childhood obesity rates are at epidemic proportions. Play is an important part of development for kids and youth. It helps them to develop social skills, problem solving capabilities and gain confidence. Active play stimulates the release of natural endorphins and provides a positive outlet for kids to release energy and stress. And, if you really think about it, us adults could use a good dose of these “developmental benefits” too.It is time to unleash that inner child and learn how to play again (while getting a great workout in the process)! Be an animal! Take turns choosing animals to mimic and move like that animal for 25 meters down and back. Here are some examples to get you started, be creative! 1. Have a handstand contest! 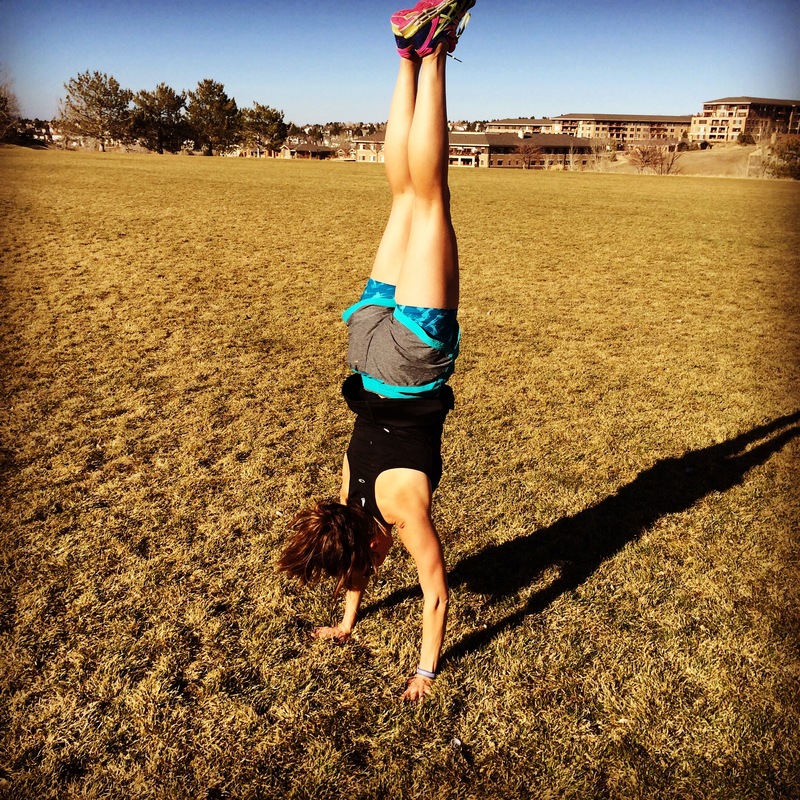 When is the last time you tried doing a cartwheel or even a handstand for that matter? Believe me, when you try it again it will not be easy. If you are nervous about going right into a handstand, start with donkey kicks. Tag is a timeless game that will give you a killer workout while allowing the kids to expend some of their endless energy. Freeze tag: Once tagged you are “frozen” and someone must crawl between your legs to “un-freeze” you. You could also do this where you have to hold plank once tagged and your kids/friends have to army crawl underneath you. Pacman tag: The person that is “it” is a “ghost” and everyone can only run on the lines. You can play where if you get tagged you are “it” or where everyone that gets tagged becomes a ghost and the last “pacman” standing wins! Creative tag: No running! Choose a different type of movement like side slides, bear crawl, hopping, crab walk, etc and if you get tagged hold a deep squat, do squat jumps or hold a plank until last person is tagged, they are the new “it” person for that round. Every child should experience the joy and wonder of learning to climb a tree and sit in its branches, seeing nature around them and the world below. Start off by teaching your kids to just hang while supporting them to build up their confidence while you do pull-ups, pop-ups and knee ups from the branches. 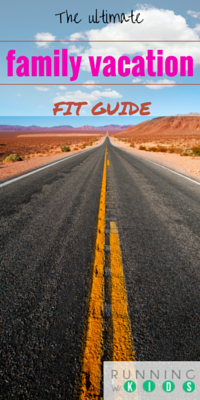 You can easily make either of these fun fitness drills, exercise in disguise we call it! 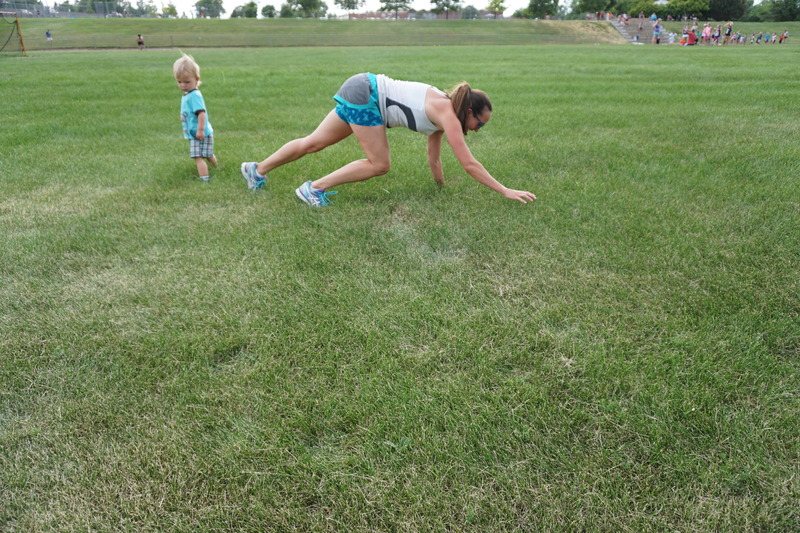 For “Follow the Leader”, lead the kids on a fitness adventure: do walking lunges or leap across a field. Go across the monkey bars and balance across narrow beams. For “Simon Says” make every order “Simon says” a fun exercise. Tell them to try to jump and touch the sky for 1 minute or do jumping jacks or cartwheels. Let’s show the world that playgrounds are not just for kids anymore! Get up there and play with your kids. Play “swamp-monster” or teach them how to get across the monkey bars. You will get your heart rate up and you will both make memories together that will last a lifetime. —–> We have TONS more fun active workouts on our Playground/Parks page, check it out HERE! —–> Kaboom is a national non-profit dedicated to ensuring that all kids get a childhood filled with the active play needed to thrive. Mom to 2 playful boys and still a child at heart. ← 7 tips to start trail running, with a jogging stroller!